Another week, another new challenge prompt. 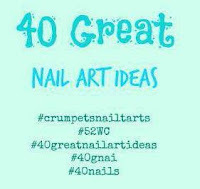 I have to say that I'm very grateful for this challenge, because it is ensuring I keep up with some interesting combinations that I wouldn't ordinarily try, and therefore fall into the same patterns of the same sort of nail art manis. 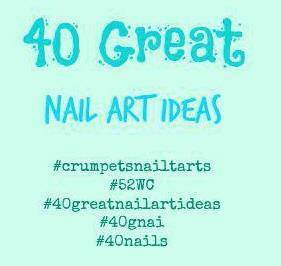 This weeks prompt for the 40 great nail art ideas challenge is to use grey + a colour, plus your personal technique prompt. My prompt this week is negative space. This is a bit of a random one. I started with a layer of base coat and then a layer of clear coat. 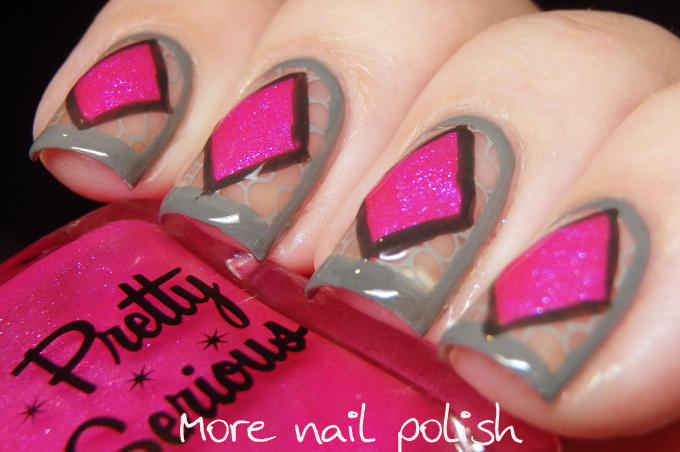 On that I stamped a swirly pattern using light grey polish. 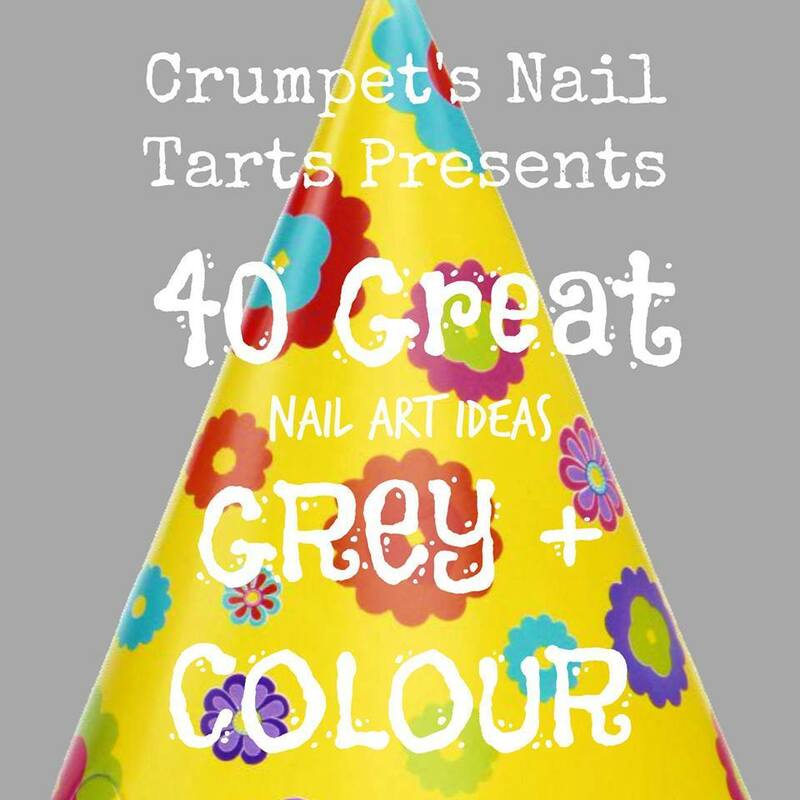 I then outlined all my nails with a light grey. I needed to add my pop of colour, and this is what happened. I wish they were more perfectly even, but that's never going to happen when I'm free handing them on. 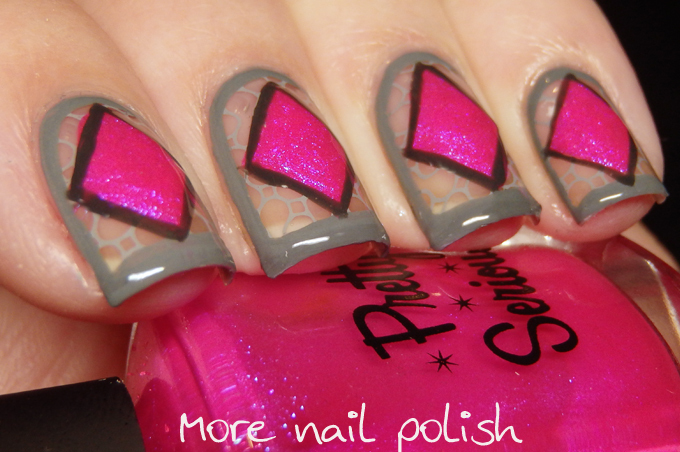 I used Pretty Serious The Pink One, which is an amazing neon pink with a bright blue shimmer. 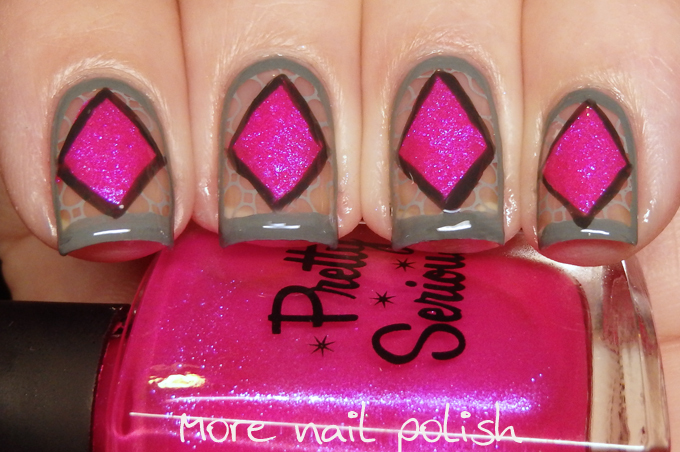 I then outlined the diamond shapes with a dark grey polish. This is too cool! I'm definitely going to try this very soon! 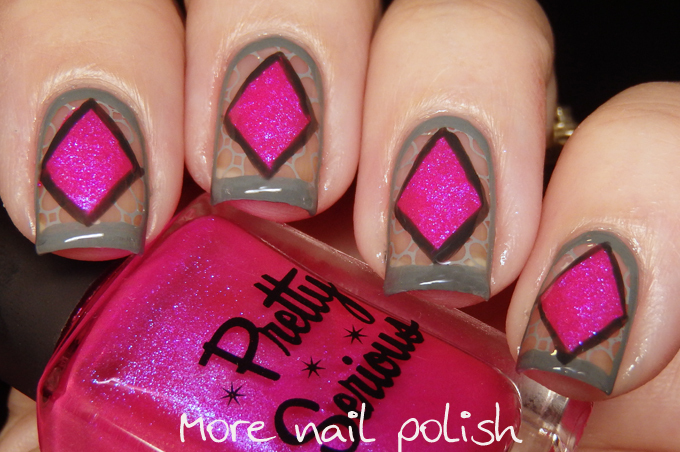 I love the contrast between the negative space and pop of bright pink!